WINNIPEG – It is no easy feat to overtake a record July set in 2014. Nonetheless, July 2015 sales were still brisk. At nearly 1,400 sales, they are 6% higher than the 10-year sales average and third highest for this month ever. 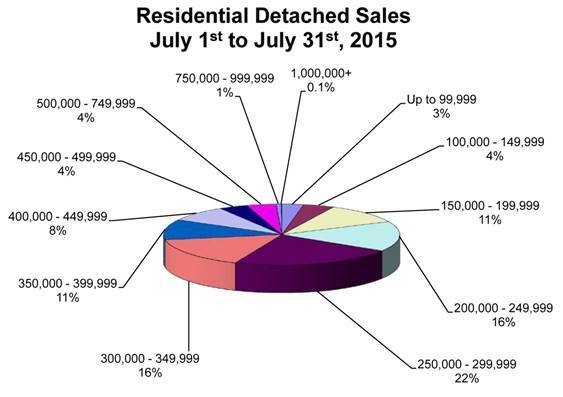 If not for condominium sales lagging behind in July as well as this year-to-date, July 2015 would have narrowed the gap in MLS® sales from last July and been even more impressive. The most active price range in July for residential-detached was $250,000 – $299,999 (22% of sales), followed by the $300,000-$349,999 (16%) and $200,000-$249,999 (16%). 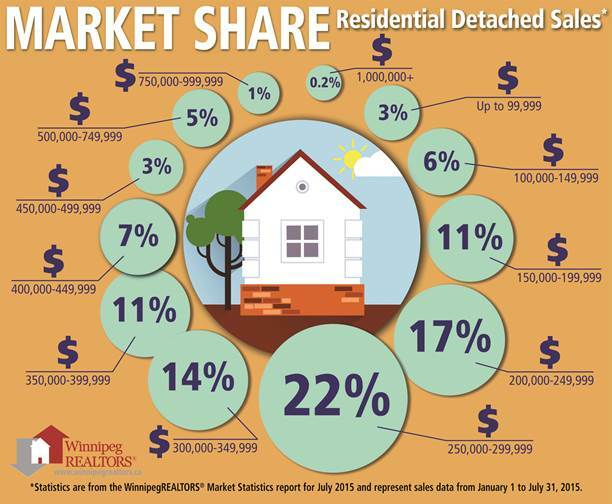 Another 22% of sales were split evenly in the $150,000 – $199,999 and the $350,000-$399,999. The busiest condo price range in July was $150,000 – $199,999 (29% of sales), followed by the $200,000 -$249,999 (22%) and the $250,000 – $299,999 (18%). Days on market for condo sales was 41 days compared to 34 days last year with the highest priced condo selling for $880,000 and the lowest priced sale at $87,500.